Know Good Beer & Music Festival will arrive in Richmond for the first time on Brown’s Island tomorrow Saturday September 19th from 2 to 9pm. Tickets are $40 in advance ($50 at the door) and include unlimited 4, 8,or 12oz pours as well as a KGB mug. 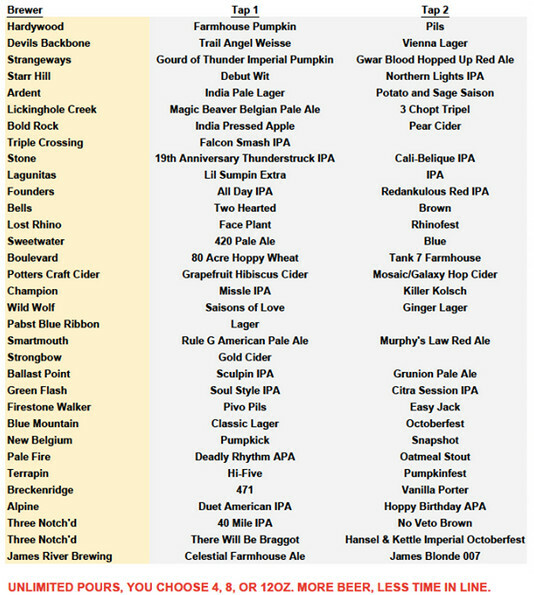 Check out the beer list and get your tickets here. Here’s the music lineup for the day. You might just find me up front for Kopecky!